According to the Roman calendar, the first month of the year represents change, the start of a new era, the fact of being between the past and the future. Thus, January is the month dedicated to Janus, the god of beginnings, transitions, gates, passages, duality, gateway and endings. Janus, as god of motion, looks after passages and, as change and movement are usually interconnected, he is represented by light, time, doorways, bridges, the sun and the moon. 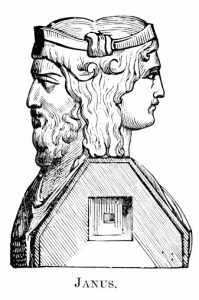 Graphically Janus is depicted as having two faces: one looking at the past and the other looking to the future. The year 2019 will constitute a significant year of change for the Old Continent as it marks the transition between the current and new mandates of the European Institutions, which will in turn represent a major turning point for us, as citizens and stakeholders. Our society is changing quickly and profoundly at national, European and global levels; markets and regulation must adapt to a new environment in order to fulfil mutually reinforcing goals of social progress and economic growth. The covered bond arena itself is not immune to significant change; as indicated, the world and the legislative environment around us is changing and 2019 looks full of challenges ahead. Like Janus, with one face, the covered bond market can look back with pride on its history and impeccable track-record, whilst, with the other, it looks forward in this first month of the year to a series of challenges to be addressed during the course of 2019. One of the biggest and most immediate challenges will be the timely conclusion of the legislative process for the Covered Bond Directive which enters its final phase at the beginning of this new year. The European Covered Bond Council (ECBC) stands ready to lend its support during the final legislative negotiations (“Trilogue” negotiations) between the European Parliament and the Council of the EU (“co-legislators”) under the Romanian Presidency and to work with Member States on the subsequent implementation of the legislation at national level. In preparation for this, during the month of December, the ECBC collected detailed market feedback on the positions agreed by the co-legislators which will constitute the basis of the “Trilogue” negotiations. Other challenges in 2019 will be the Sustainable Finance agenda, the completion of the Banking Union, the creation of the Capital Markets Union (CMU), all of which are key files in the legislative pipeline of the current EU Institutions. With the European elections on the horizon, we are also considering the priorities and potential actions of the new European Parliament and Commission. Political change always leaves market stakeholders in a state of uncertainty. 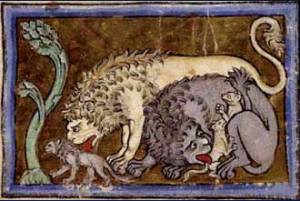 The upcoming months constitute a genuine “terra incognita”, which the Romans would define on their ancient maps as “hic sunt leones”, an unknown land full of dangers, lions. In financial markets, covered bonds represent arguably the best and longest standing example of continuous adaptation of a financial product/concept to changes and assimilation of market and legal best practices. This ability to change and adapt has in turn secured a robust and reliable long-term funding tool to support the real economy, especially in stress or crisis scenarios. In 1769, by combining mortgages on property and bonds, Frederick the Great created an essential mechanism for providing safe access to long term capital to finance projects for the benefit of the community and the welfare of its citizens. In subsequent years, this visionary model was adopted throughout Europe, often as a response to economic crisis, and its reputation for safety and stability was established. In Denmark, in 1797, the first bonds, Realkreditobligationer, were issued to finance the reconstruction of Copenhagen following the great fire in 1795. By 1852 in France, the mobilisation of capital came of age with the issuance of Obligations Foncières, and many of the covered bond features we would recognise today featured strongly in the bonds offered to the public at that time. Today’s covered bond landscape is the result of ongoing exchange of market best practices and a selective process of osmosis of market solutions and legislation, which began two and a half centuries ago under Frederick the Great. 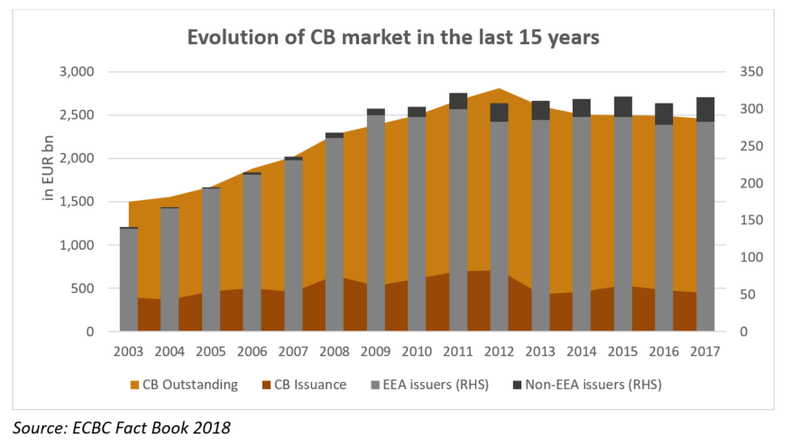 Over decades, these converging dynamics have resulted in the creation of a solid and high-quality benchmark in the form of the Covered Bond Label (link), a market initiative led by the ECBC, which identifies the most important private sector asset class in the history of European financial markets, accounting globally for around EUR 2.5 tn (end of 2017), of which over 88% is issued in the European Economic Area (EEA). 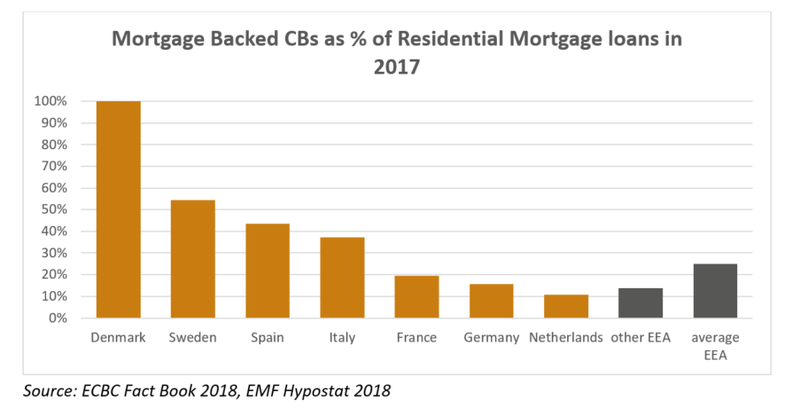 On average, mortgage backed covered bonds finance 25% of the outstanding mortgages in the EEA, especially in Scandinavia, Continental and Southern Europe. The presence of covered bonds beyond the Old Continent is constantly increasing with new jurisdictions finding inspiration from this very European way of meeting housing finance demand. Brazil and Japan were the latest newcomers in 2018. The introduction of a covered bond directive opens new perspectives at a global level with clear added value and benefits for both issuers, investors and – perhaps more importantly – with regard to macro prudential and global financial stability and therefore ultimately for consumers. As indicated earlier, the major challenge ahead is to guarantee the final approval of the legislative package in Q1 2019, before the end of the European Parliament’s mandate and the Parliamentary elections in May. This will be followed by a transposition period of two years during which it will be important to secure an appropriate level of harmonisation of market best practices. This is true for Europe, but even more important globally, to align non-European countries with this qualitative benchmark and guarantee a high-quality product worldwide. The ECBC has played a crucial role as a market catalyst in the development of the covered bond product and has provided a single European voice to national positions during the legislative process developing a European directive on covered bonds. It has helped to pinpoint areas of compromise and identify key features to serve as benchmarking elements of the European framework. The year 2019 is paramount for the future of covered bonds and coincidentally is also marked by the celebration of three landmark anniversaries in the history of the asset class: (1) the 250th anniversary of the introduction by Frederick the Great in Prussia in August 1769 of the “Silesian Landschaft model” which was the legal basis for the German “Pfandbrief “ we know today, (2) the 30th anniversary of the Fall of the Berlin Wall and (3) the 20th anniversary of the introduction of the Euro. In 2019, we, at the ECBC, will highlight these anniversaries as the leitmotiv in all of our events which will be held globally: the ECBC Asian Covered Bond Symposium in Singapore in March (12/13); the 29th ECBC Plenary in Riga in April (24); the Euromoney/ECBC North America Covered Bond Forum in Toronto in June (5); the 30th ECBC Plenary in Munich in September (11); and the celebration of the anniversary of the Pfandbrief and the fall of the Berlin Wall in November in Berlin (7/8). Following on from the regulatory recognition of this asset class by the Basel Committee, the ECBC furthermore wants to support the transition of our industry in 2019 towards an exit strategy from quantitative easing by: (1) opening up new opportunities to attract international investors in Asia and America; more importantly (2) highlighting the added value of the Covered Bond Directive to traditional investors in Europe; and (3) facilitating the development of new covered bond markets in the Union by supporting forthcoming legislation, such as that in the pan-Baltic region. In line with the Capital Markets Union initiative, 2019 will also see the ECBC putting on the table of the new European Commission concrete proposals to improve market transparency, facilitate the provision of and access to finance for lending institutions and SMEs and improve the quality of life of European citizens. These initiatives include the Covered Bond Label and its Harmonised Transparency Template (HTT) , European Secured Notes (ESN) , Energy Efficient Mortgages (EEM) and green covered bonds. With the latter, our aim is to, on the one hand, facilitate access for consumers to greener financial services and, on the other hand, achieve more resilient bank portfolios, essential for long-term financial stability, through a more sustainable approach. We remain committed to the European project which is rooted in building bridges and in the osmosis of best practices between markets and cultures. This has always been and remains the founding spirit of the ECBC and we are ready to take the leadership in guiding the covered bond industry into a new era characterised by a new European legislative framework and a focus on sustainability and innovation. At the heart of the unparalleled success of the covered bond product has been the ability to change and adapt to market conditions and assimilate elements of legal structures from across jurisdictions to achieve the very best in market practices. Although in the history of humankind, change has always been feared by most and supported by few, it is the very fact of changing that remains an essential driver of social progress and evolution. As the covered bond product has shown, assimilation, adaptation to change and new stimuli are elements of competition and survival in history. Since the mists of time, humankind has always looked for divine protection to assist during periods of change and transition. Janus, the god of transition and the month of January, is the only real Roman god not deriving from the original Greek gods in the Roman Pantheon. Janus had no priests to preside over his ceremonies; the Pontifex Maximus himself, the high priest in Ancient Rome, conducted his ceremonies. According to the legend, Janus came from very faraway and arrived on the shores of the river Tiber from the East Mediterranean. The god Saturn welcomed him in exchange for his knowledge of agriculture. Janus was a refugee god, seeking hospitality and offering the secret of a new culture in return. This amalgamation of cultures is a founding and recurrent theme in Roman/Greek mythology (e.g. Ulysses and Aeneas). And it was this exchange that symbolised the real essence of Ancient Rome which was a veritable melting pot of cultures generating added value by taking the best from every culture and creating a new one, based on continuous assimilation, adaptation to change and integration of new ideas, people and religions. This strategic and dynamic approach characterised the fabric of Ancient Roman society and its legislative framework in most of the key respects which are still relevant in our modern legislative infrastructures. Janus, with the epithet of father, presides over beginnings and endings, war and peace. More importantly, he represents social progress and cultural integration, the middle ground between barbarism and civilisation, rural and urban spaces, youth and adulthood. He looks after the bridge between cultures, the meeting points of people, merchants and the Roman society. It could be said that he constituted a divine protection over social transition, trade, progress and prosperity. 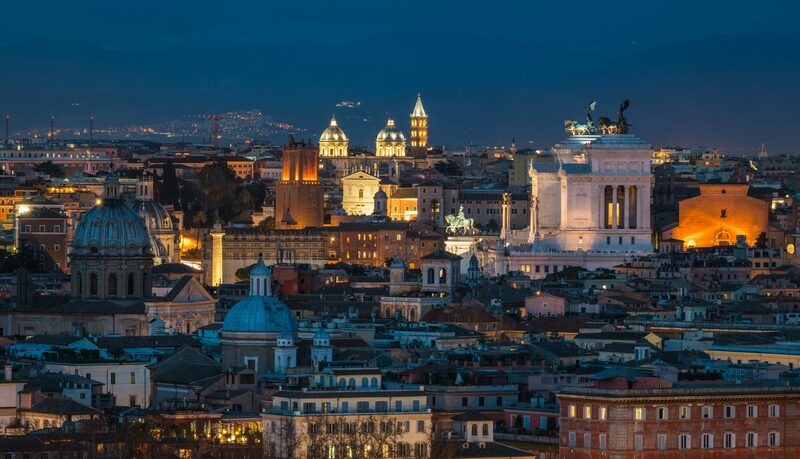 Curiously, the hill protecting the ancient harbour of Rome, the cradle of the art of trade and cultural exchange, on the right bank of the Tiber river, was named after and dedicated to him: “Janiculum”. 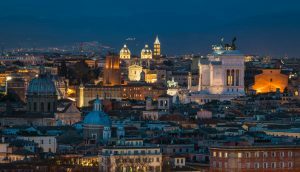 The Janiculum is also the only real defensive stronghold in Rome; whoever controls that hill controls the entire eternal city. Today, 2772 years since the foundation of Rome, the ancient river port of Rome no longer exists on the slope of this hill, the Janiculum. Interestingly however, a few hundred meters from the area of the ancient port, you will find now the Vatican, the Holy See, the premises of the Pope, who is still referred to as “Pontifex Maximus” (the man who builds and looks after bridges), recalling the footprint of the cult of Janus mixed with other more recent Eastern Mediterranean cultural influences. Only those links among centuries can help us to understand the deep sense of history and the need for continuous, gradual cultural integration and social growth. Since Rome’s foundation the essence of evolution has been to bridge the gap among cultures by improving progress and prosperity. Progress, throughout history, was made in every social phase and cultural revolution towards assimilation, integration and change: the Renaissance, the Enlightenment, the Industrial Revolution and, ultimately, in the European project. More than ever, the ECBC confirms its role as the ‘cultural’ bridge between different market traditions, leading stakeholders towards the transition to the Capital Markets Union.